NNNNNNNNNNOOOOOOOOOOOOOOOOOOOOOOOOOOOOOOOOOOOOOOOOOOOoooooooooooooooooooooooo...ooo.ooooo.oo......... Wait, only July? And we will get a better book because of it. But don't GRRM us, Butcher. Or I will become your name on you. Yeah it is not so long. I was actually getting worried about fitting in all the new releases around that time of year. 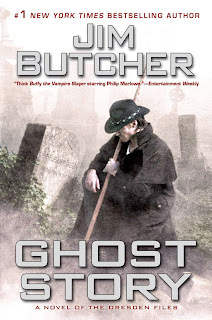 Summer is probably better, but this also probably means each succeeding book in the series will be pushed back that much since Butcher has been doing one every 12 months or so since around Dead Beat. I hate to wait, but guess I'd have to vote for the full-assed story!